Free Internet Speed test | FREE SMS WORLDWIDE WITHOUT REGISTRATION. 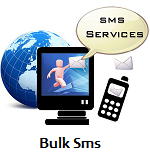 Send free SMS to all operators in the World. Internet Speed Test. Get your result instantly. Click in START above to begin.